Participants: María Soliña Barreiro (Pompeu Fabra University), Fernando Redondo Neira (University of Santiago de Compostela) and Beatriz Zabalondo (University of the Basque Country). 20 h. Projection of the film Nobody’s Watching, with the director Julia Solomonoff. Participants: Julian Hanich (University of Groningen), Petra Broomans (University of Groningen), Alberto Godioli (University of Groningen) and Jeanette den Toonder (University of Groningen). Participants: Berber Hagedoorn (University of Groningen), Vera Alexander (University of Groningen) and Margriet van der Waal (University of Groningen). “Representaciones de la crisis de 2008 en el audiovisual contemporáneo” (Representations of the 2008 crisis in contemporary audiovisuals). Participants: Aaron Rodríguez Serrano (Jaume I University), Teresa Sorolla Romero (Jaume I University) and Antonio Loriguillo López (Jaume I University). Participants: Iñigo Marzabal (University of the Basque Country), Ainara Miguel (University of the Basque Country) and Carmen Arocena (University of the Basque Country). 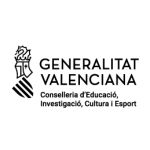 Mostra de València –Cinema del Mediterrani is a film festival that takes place in Valencia and focuses on the audiovisual production of the Mediterranean geographical and cultural area. Copyright 2019 © Mostra de València. All rights reserved.